Kerala’s heritage, culture, art and history will amaze you, we have put together some of the must see monuments and locations to visit whilst you explore Kerala. 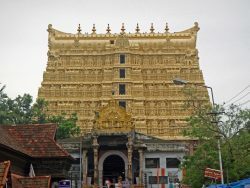 Dedicated to Lord Vishnu, Padmanabhaswamy Temple is an architectural blend of Kerala and Dravidian styles. The temple is filled with wonderful murals and paintings depicting Kerala’s wonderful heritage and past. 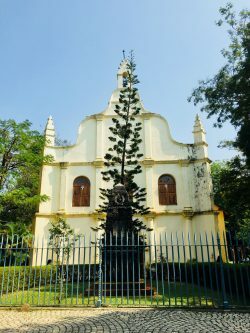 Built by the Portuguese in 1503, St Francis Church is India’s oldest European church. Vasco da Gama a famous Portuguese explorer was initially buried here; although his remains have been transported back to Lisbon, however you can still visit his tombstone in the church. This Dutch built palace is the perfect destination if you’re spending your honeymoon in Kerala or just looking for a romantic hide away. The palace is now a hotel however it can visited by non-staying guests. This picturesque paradise island overlooks Kerala’s famous backwaters. You will love the romantic ambiance as you take a walk through the luscious gardens and unwind as you enjoy a luxurious meal. Is a monument from the 9th century and is the only lake temple in Kerala. Anathapura Temple is home to Babiya, a mythical crocodile who was the messenger of Lord Padmanabhan. If you’re lucky enough to catch a glimpse of Babiya there is no need to fear as he does not attack humans! 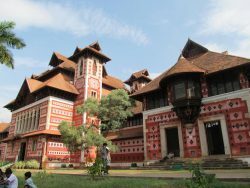 Built in 1845 the Kuthiramalika Palace Museum is a monument to traditional Kerala architecture. This heritage attraction is named after the magnificent 122 horses carved into the wooden wall brackets. This temple is an exquisite showcase of wood carvings and paintings. 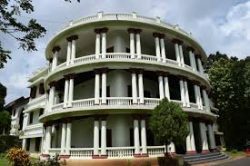 The Napier Museum contains historical artifacts such as bronze idols, ancient ornaments, temple chariots and is adorned beautiful ivory carvings. With its central location there is something for all the family to do and it is also close to the zoo, reptile house and art gallery. 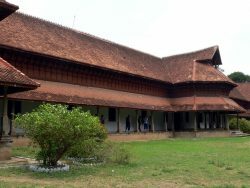 Kerala’s first ever heritage museum. The monument was built in 1865 and previously the official residence of the rulers of Cochin. However it is now the home of an exhibit presenting antique furniture and jewellery, precious stones and beautiful works of art.